A couple of years ago, I started using Canva, just to see whether it was as easy as some said. After some experimentation, I designed cover images for the four short spinoff stories from my main series, published in 2016. Since I intended to make them perma-free, it didn’t make any sense to pay for cover images, and I was happy with the results, although compared to the professional designs, their amateur origin is evident. 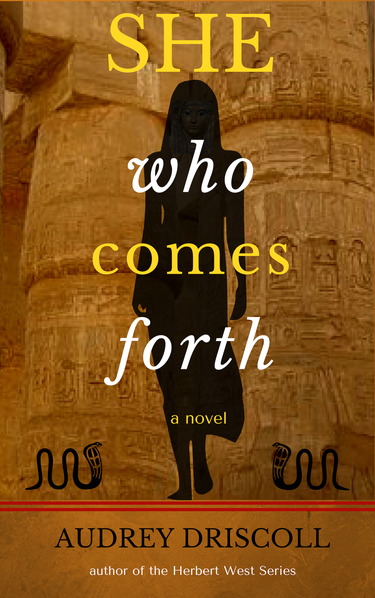 By the time my latest novel, She Who Comes Forth, was ready to come forth, I had designed more than half a dozen images for it. Fooling around with Canva is fun, and was a great way to do something related to my (then) work in progress when I didn’t feel like actually writing. 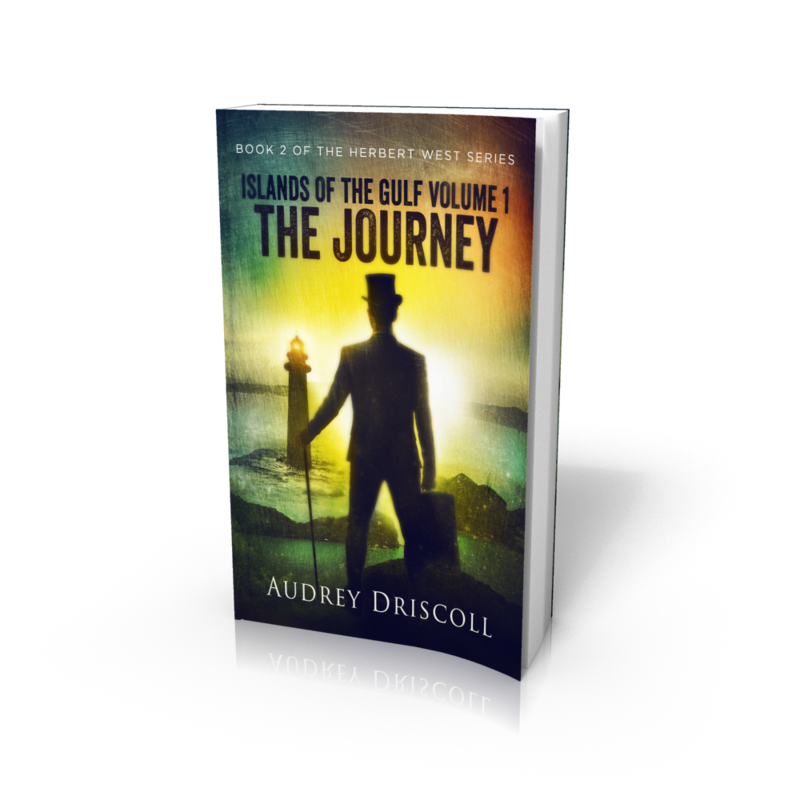 After I finalized my final design, part of me could hardly wait to start on the challenge of incorporating it into a cover for the print version of the novel. This was while I was still waffling about publishing in print at all, and a bit apprehensive at the prospect of formatting the Word doc for POD. The print book may be purchased at your preferred Amazon outlet. This one, for example. The ebook version of She Who Comes Forth will be available on November 7th, and may be pre-ordered now at a special price. For those who might be foolhardy bold enough to attempt a similar project, here are a few things I learned that others may find helpful. One thing I’ve noticed about documentation, instructions and “help” pages — sometimes they omit tiny but crucial details. I don’t pretend to be an expert, and many of you may know all that stuff already, or have no desire to get into this type of project, so this is for the rest of you. FYI on DYI. Amazon KDP provides a pretty good basic formatting guide. And you can usually find good help pages on the internet for most Word issues. This one, for example, tells you how to set up different headers and footers on odd and even pages. First, find a trad-pubbed (or for that matter, indie-pubbed) book you like the looks of and use it as a model for interior design, preliminary pages, presence/absence of headers and page numbers, etc. Then all you have to do is figure out how to get those effects in your Word document. Second, make sure your text is perfect (or as close as you can get) before you start formatting. Adding or deleting more than a character or two can mess things up once you’ve inserted Section Breaks, Headers, and Footers. Third, add your preliminary pages (half-title, title page, epigraph and or dedication pages) and any “extras,” such as the moon glyphs I added to every one of the chapter titles. (They actually represent the moon phases in Luxor, Egypt in 1962 as the story progresses.) Decide on the trim size for your book (6×9 inches, for example), specify the paper size and set the margins. KDP’s “Build Your Book” guide has instructions for these steps, and even little videos you can view as many times as you need to. Now for the ultimate challenge — Section Breaks, Headers, and Footers. Use the magic of “Save As” before you start, so you have a pristine copy of your document up to that point. If things go wrong, you can scrap the mess and start again without having to go through the process of adding the preliminary pages, setting margins, etc. Actually, it seemed to me that the latest version of Word makes the process easier than previous versions. Or maybe it was just because I’d struggled through all this stuff before. Whatever the reason, I found I could rely on a specific sequence of checks and choices as I paged through the document, like a little mental flow chart. It was encouraging to be able to reproduce the desired pattern reliably as I went along. The title page. I used Canva to create the picture in the middle (a separate little project). Then I inserted it into my Word doc. Finally, before you upload your document to KDP, save a copy in PDF form. That will show you exactly what your printed pages will look like. If there are problems (usually with headers and/or footers), you’ll spot them immediately and can return to your Word doc to fix them. Once everything looks good, you can actually upload your final, perfect PDF to KDP. For a really thorough how-to guide on the entire print publishing process, I recommend How to Print Your Novel with Kindle Direct Publishing: a step-by-step guide for absolute beginners, by ACFlory. It takes you through the formatting process in detail, with screenshots. This ebook is available on Amazon. Anyone who’s comfortable with Canva (and designing images) can create a credible print book cover. You probably wouldn’t want to make this your first experience of Canva (unless you’re a really quick study). Experiment first, getting used to layering images, using transparency, adding text, and moving stuff around. Create some ebook cover images. If you don’t actually have an ebook that needs a cover image, make some for books you mean to write. (The exercise might inspire you.) Once you know you can construct attractive images with the degree of complexity you need, you’re ready to tackle a print book cover. Before starting, you need an interior book file that’s complete, perfectly formatted, and ready to upload, so you know how many pages your book will have. That determines the width of the spine. Once you know that and have selected a trim size, download a print cover template from Amazon KDP. Go to Canva and start a new project, with customized dimensions exactly right for your cover. I found these instructions by Katherine Roberts very helpful, especially the calculations to set the custom size for your Canva project. One of the cool things about Canva is that you can upload your own images to use in your designs. This is also where you upload your print cover template from KDP. By incorporating it into your design (temporarily), you can make sure to adhere to KDP’s specs for bleed and barcode placement. If you use free images from a site like Pixabay for your cover design, remember to download the highest resolution versions. Images that don’t meet Amazon KDP’s fabled 300 dpi standard may cause your cover to be rejected. (This didn’t happen to me, I’m happy to say). Select a background, and then layer the cover template over it. (My background is that textured ochre colour on the spine.) Then proceed as usual, adding whatever elements you need for your front and back covers. Set the transparency so you can see the cover template and its all-important red border lines. For my cover, the spine was the only place where the cover template was the topmost layer (well, just below the spine text). This was important, because after I was finished adding all the elements, including text, and was certain nothing important was on or outside the red lines, I easily deleted the template. Don’t forget to do that, and do NOT move any text or important image elements once the template is gone. You can change filters, transparency, or colours, but don’t change fonts at this point, because that might change the size of text areas. When you’re done, download the image as a printable PDF, and upload both it and your text PDF to Amazon KDP. And rejoice. An excellent piece of advice to authors publishing a new book is to add information about it to the back matter of all their existing books. The back matter is found — well, at the back. Meaning the end of the document. Unless you zoom directly there (Ctrl + End) with your eyes closed, add the description of the new book, save and exit the document, you’ll inevitably notice things. Things like typos, problems with quotation marks, not enough white space, and other details you just wouldn’t find acceptable if you were formatting that document today. You do a couple of small fixes. Then some larger fixes. Next thing you know, you’re doing a seat-of-the-pants unplanned re-edit and/or reformatting. I don’t recommend this approach, unless you enjoy chaos. I’ve just revisited 16 — yes, that’s right, sixteen — Word documents to add info about my latest book to the back matter of my eight published books. The oldest doc was created in 2010, the newest in 2016, using two different computers and different versions of Word. There is a Smashwords document and an Amazon document for each book. The docs are nearly but not quite identical. (In my experience, a Word doc correctly formatted using the Smashwords Style Guide will have no problem being processed by Amazon). In formatting my latest book (She Who Comes Forth — still on pre-order at a special price, by the way), I rediscovered the magic of creating my own Styles in Word, including a handy one called “No indent,” to be applied to paragraphs whose first line should not be indented — the first paragraph in a new chapter or section, for example. This adds a “professional” touch to the text, and Lord knows we self-published indies need to look professional. As with so many other features of Word, you have to be careful with Styles. My advice — before you do anything, uncheck the “Automatically update” box in the Modify Style window. It’s disconcerting when you discover that a little tweak in one spot has unintended effects all over the document. So far, only one of my 16 documents has had problems on upload. It got through the two automated checks on Smashwords’ infamous “Meatgrinder,” but the subsequent detailed review revealed blocks of 14-point text among the intended 12-point. Not pretty. Fortunately, it didn’t take me long to figure out that my newly-created “No indent” style was at fault. Its definition said Times New Roman 12-point, but I suspect that when I created that style, my cursor was sitting on the one and only instance of 14-point text in the entire document. Every paragraph to which I applied this style ended up as 14-point once it was turned into an Epub. This didn’t show up until I downloaded the Epub and viewed it in Adobe Digital Editions, as the good people at Smashwords advised me to do asap. Because this document had been around since 2010 and jumped the hoops several times over the years, I assumed it was clean. But of course the new style was an add-on. Decide in advance whether you are going to do more than add the new info to the back matter. If there’s been something about the book that’s been bugging you since you published it (known typos, misaligned text, presence or absence of bolding or italics), this is an opportunity to apply fixes. If reviews have mentioned errors, it’s definitely worth doing. But if you consider the book to be okay, don’t start looking for trouble unless you have the time and energy for a systematic re-edit or re-format. This is especially true if you’ve paid someone to do that stuff for you. If it’s okay, don’t mess with it. The longer a document has been in existence, the greater the chance of problems developing if you tweak something. If it was originally created using a 1990s version of Word — or maybe even WordPerfect! — playing around with it may have unintended consequences. If you must tweak, be mentally prepared to deal with unpleasant surprises. If you’re uploading to Amazon, don’t skip the online previewer. It’s right below the spot where you upload your file, and you can use it as soon as the file has been ingested. It shows you what your doc will look like after being converted to an ebook. Go through the whole book, even if it’s 10,000 “locations.” If you find problems, you can deal with them immediately and upload the corrected document. Smashwords doesn’t have a previewer. If your document passes the Autovetter and Epub checks, you get an email telling you that and suggesting you download your newly created Epub file and look at it using Adobe Digital Editions. (This is the step I omitted with my oldest document). Some problems invisible in the Word document show up beautifully when viewed this way, so it’s definitely worth doing. As with the Amazon previewer, page through the entire book. You may find and fix problems before the Smashwords folks send you an email telling you there are problems with your baby. Once you’re happy with your updated Word docs, save them extravagantly! Save to your flash drive, your external hard drive AND to a cloud storage service like Dropbox. Sure, your books are published and available everywhere, but you need those base files if you want to make any more changes to them. Well, I think I’m just about finished with ebook formatting for now. My next challenge — should I decide to take it on — is formatting She Who Comes Forth for print publication. This time I will use KDP, since CreateSpace is no more, but first I have to wrestle a Word document into a proto-book, that will eventually be turned into an actual physical thing. I’ve done it four times already, but not for a couple of years — long enough to forget important details. I anticipate weeks of frustration, distraction, and going around muttering things like “recto,” “verso,” “odd page,” “even page,” “section break,” “keep with next,” various four-letter words, and AAAAARGH! Where the ! @#$ did THAT come from? Formatting: Frustration, Fits and… Fun! 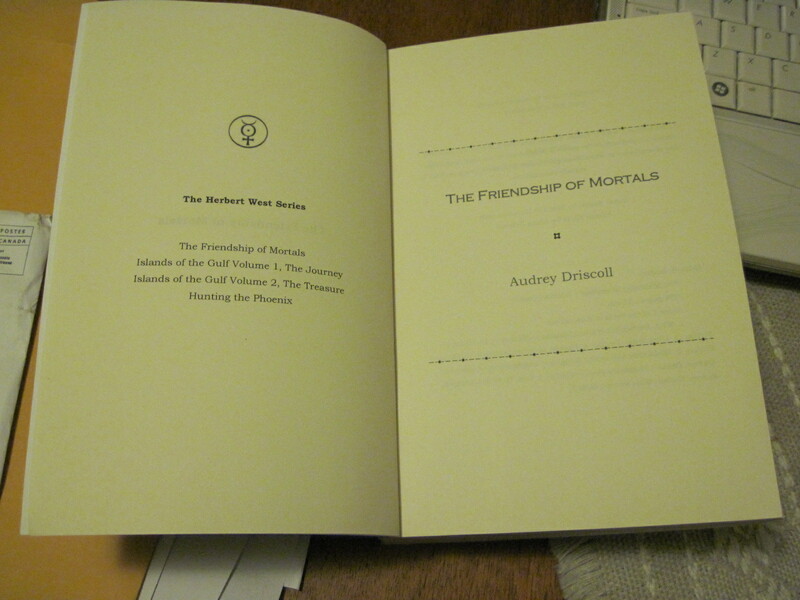 Last year I published my first book (The Friendship of Mortals) in print, after more than four years of being available only as an ebook. Even though I used CreateSpace, I didn’t use the supplied Word template, but did my own formatting from scratch. (Truth to tell, I was hazily aware of the template, but ignored it and just charged ahead). After formatting four books for ebook publication through Smashwords, I thought I was a whiz at that stuff. Ha. There’s a reason for this post’s alliterative title featuring the letter F.
Among other things, I definitely learned the main difference between designing an ebook and a print book. An ebook is supposed to flow, like an electronic scroll, without impediments such as page or section breaks, headers or footers. (A word to those indies who haven’t done the print publication thing yet: if you tore your hair out over getting your book through the Meatgrinder without Autovetter errors, maybe you should get help if you decide to format for print. Or at least use the supplied CreateSpace template). 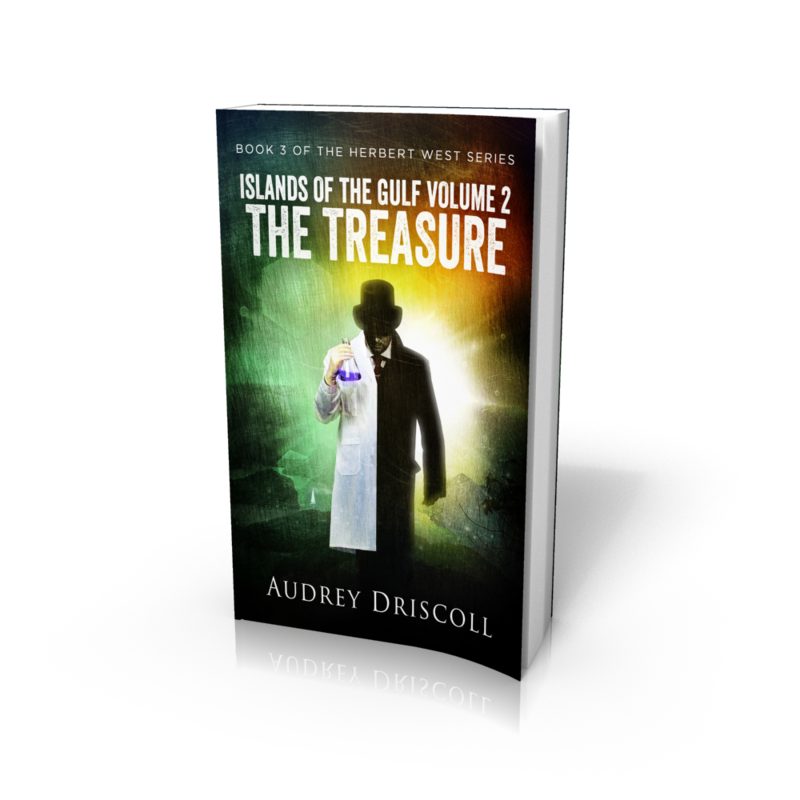 So now I’ve just finished formatting the next two books in the Herbert West Series: Islands of the Gulf Volume 1, The Journey and Islands of the Gulf Volume Two, The Treasure. With all my hard-won experience on the first book, I thought it would be a snap. Or at least a near-snap. I was almost right. While not 100% smooth, it was easier, and I now have a procedure that works. What follows isn’t meant to be a set of how-to-do-it instructions, just a bunch of observations as I emerge, rumpled but triumphant, from the formatting jungle. The trickiest part by far is getting Section Breaks, Headers, Footers and Page Numbering to work together and look right. Fellow indie author and blogger Michelle Proulx recently wrote a good post about adding Headers, complete with screen shots of the current version of Word. It helps a lot to start with a clean Word document. I used the ones I had created for ebook publication, reasoning that it’s easier to add breaks, headers and footers to a document that lacks them, than to wrestle with the quirks of existing ones. It also helps to have an actual, properly-designed printed book to refer to as you go along, so you can see which pages need page numbers, headers, etc. That makes a huge difference when it comes to the professional look. The first thing I did was make sure my documents were in tip-top shape. That meant fixing a bunch of small errors I had noted in a recent re-reading of the whole series. The “handwriting” feature in my ebook reader is great for noting these mistakes. I went through the notes it generated and made the corrections — mostly deleting the word “that.” Bonus: I can upload the corrected ebook versions, thus improving the ebooks and ensuring identical texts in ebook and print. Make sure the Style in your document is appropriate for your print book. The Style I used for my books is: “Font Bookman Old Style, 10 pt, English (Canada), Indent: 1st 1 cm. Justified, Line spacing exactly 12 pt, Widow/orphan control.” Uncheck the “Automatically update” box in the Modify Style window, or bad things will happen. Set the margins in Page Setup. Select Mirror Margins in the Margins tab. In the Paper Size tab, you need to enter the exact dimensions for the trim size you’re going to use, the margins and the gutter. For my 6 x 9 books, I went with page size 22.86 x 15.24 cm, margins 2 cm except the outer one, which is 1.5 cm, gutter is 0.4 cm. Headers and footers are 1.27 cm. from the edge. In the Layout tab, check “Different Odd and Even.” This results in a display of 2 pages per screen, sort of like a real book. (If you use the CreateSpace template, I’m sure all this stuff will be set up already). Add front matter — half-title page, title page, dedication page, etc. Keep in mind that all these pages have versos, i.e. backsides, that can be used for things like lists of your other books, copyright information, etc. Refer to your model book for these details. Once you have created all the front matter pages, insert an Odd Page Break at the end of the last page of front matter. Note: most of your page breaks will be Odd Page ones, because new stuff usually starts on an odd-numbered page. If something different happens to a header or footer on an even-numbered page, you insert an Even Page Break. Go through your document and insert all Section Breaks as needed. There must be a Section Break every time the presence/absence of a page number or header/footer changes. Switch to Headers and Footers view and go through the document again, filling in header information and page numbers for each section. It works best to do this last. Something to remember: if you want your header info (your name on the even-numbered pages and the book’s title on the odd-numbered ones) to be on the outer corners of the pages, do this: enter them right-justified on odd-numbered pages and left-justified on the even-numbered ones. Same with page numbers. Trust me. (I have seen books where these items are on the inner sides of the pages, near the gutter, and to me that just looks wrong). A note on page numbers: I didn’t even consider putting them in the headers, which I thought would complicate things no end. I left them in solitary splendor in the footers. An absolutely crucial detail with headers and footers is understanding “Same as previous” (in older versions of Word; in the current version it’s “Link to previous”). Every time you enter Header or Footer information for a specific Section, you have to figure out if it should be the same as in the preceding Section. Once you get this right, victory is near. See Michelle’s post (link above) for a clear explanation. Something that drove me crazy was inexplicable inconsistencies between documents I thought were set up identically, and (even worse) things that didn’t work the same way in the same situation within a document. Word gremlins at work, obviously. Short words starting with F and S were uttered frequently until these issues were resolved, usually by studious comparison with other documents, trying different settings, or desperate searches of the Internet (which often yield helpful results). Remember, if things look really hopeless, you can just scrap that document and start again with a new copy. And where is the fun in all this, you ask? Well, once you figure out all that tedious stuff about section breaks, headers and page numbers, and get it all working, it is fun, or at least satisfying, to see real book-like features appearing as a result of your handiwork. Selecting fonts, adding little glyphs and other decorative elements (sparingly, I would advise) — can be fun. Then you upload your document to CreateSpace and use the interior checker, which shows you exactly what it will look like in print. Once you’re happy with that, and have assembled the package (cover, interior, metadata), you can order a proof copy for a final check. It’s a thrill finally to flip through real pages and see the results of your efforts — first writing the thing, then embodying it in an ink-on-paper artifact. Fourteen years after I started writing it, my first novel. 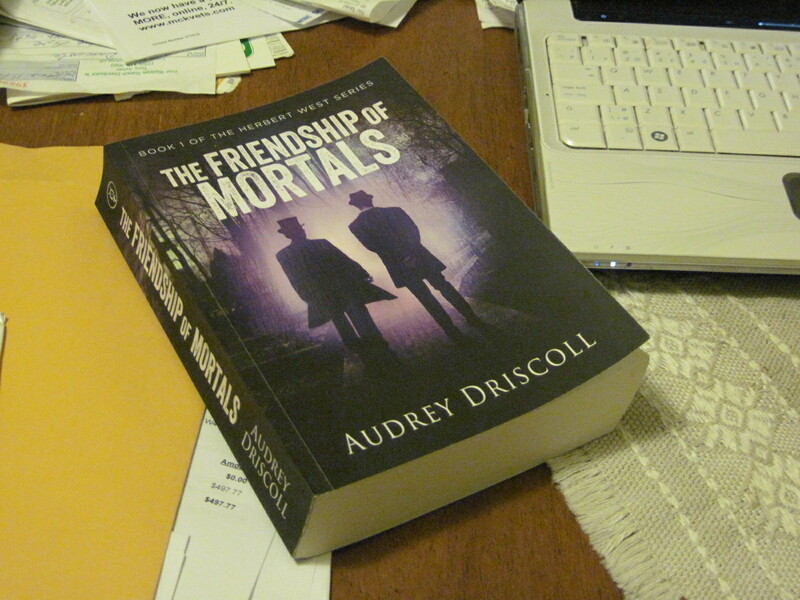 The Friendship of Mortals, is about to appear in print! It has existed as an ebook since 2010, but suddenly the time seemed right to turn it from electronic blips to a physical object. It should manifest on Amazon within the next week. It’s been a bit of an adventure making the transition. Other authors reassured me that the document formatting would be a snap. If I had successfully negotiated Smashwords’s “meatgrinder,” I would have no trouble at all turning my Word document into something acceptable to the equivalent program at CreateSpace. Not. It was a struggle of epic proportions. About blank pages — in a scroll-like electronic document, they don’t exist. A printed book, however, is printed on paper, and a sheet of paper has two sides. Brainlessly obvious, you say, but this physical reality is hard to envision when you’re looking at your Word document, even after you’ve selected Mirror Margins in Page Setup. In a book, each page has a front and a back (or, as cataloguing librarians and bibliophiles call them, a recto and a verso). Odd-numbered pages are the ones on the right hand side (recto, get it?) and even-numbered pages are on the left. But an even-numbered page is the verso of an odd-numbered one. Getting confused yet? Just wait. When you’re looking at your document, now with two pages on the screen, odd and even are reversed. The odd-numbered recto page is the one on the left, the even-numbered verso is on the right. You have to think of those two pages as the front and back of a physical piece of paper. That’s why the page numbers appear to be on the wrong side of the page. You want them on the outside corner, but there they are on the inside. Ah, but once that odd-numbered page is on the right side, the page number will be on the outside. So will the even-numbered verso page’s number. Once this particular light bulb comes on, you can confidently go ahead and divide your 500+ page novel into (in my case) 18 sections, each with its own combination of headers (two of them, remember!) and footers. Oh, and there’s the matter of the difference between odd- and even-numbered section breaks. I’m amazed I have any hair left. Once I figured out the above, formatting went fairly smoothly, except for Word’s inexplicable tendency to forget some details until reminded of them, firmly, three or four times. I uploaded my document to CreateSpace and was pleasantly surprised when it passed through with only one “issue” noted. I can hardly wait for all the components to come together! 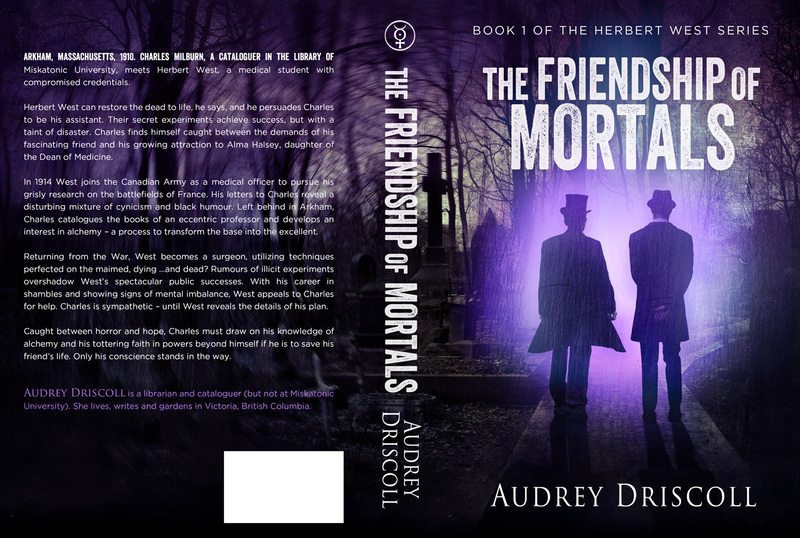 Anyone who has missed out on reading The Friendship of Mortals because ebooks aren’t your preference, here’s your chance to remedy that. Look for it on Amazon later this week.